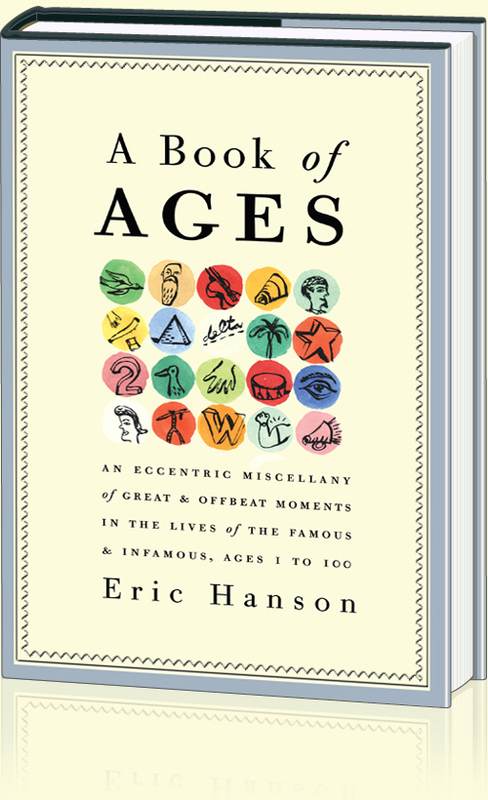 A witty and ironic collection of moments from famous lives — triumphs, failures, revealing anecdotes, odd incidents, crossed paths, missed chances, early and late masterpieces, mid-life crises and reinventions, great partnerships, changes of heart and changes of mind — organized by year of age. The perfect birthday gift. Cover design by Whitney Cookman. Cover art by Eric Hanson. 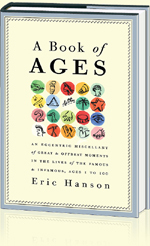 A Book of Ages copyright 2008 by Eric Hanson. Please visit Eric’s illustration website: er-h.com and his blog: er-h.blogspot.com.